T/O Marham 1715. Target Bordeaux, France. Strayed from track on the return flight and crashed 0312 into a hilside at Cefn-y-strad near Tredegar, Glamorgen, Wales. Also Wellington: Mk IC L7895 KO-G crashed on this mission. One casualty. Son of Stafford Wreghitt Tindall and Rachael May Tindall, 63 Villiers Street, Rockdale, Sydney, New South Wales, Australia. Brother of Alan and Verdun. Llantwit Major Cemetery - Sec. C. Grave 5. Son of Hylton Charles and Agnes Harriet Ellis. North Gosforth joint Burial Ground - Row M. Grave 26. 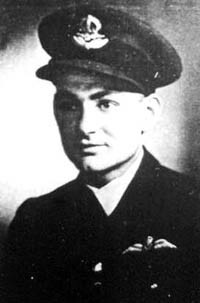 His brother Richard William also died in service, RAFVR 33 Squadron, 26 September 1945, buried Kiel War Cemetary, Germany. 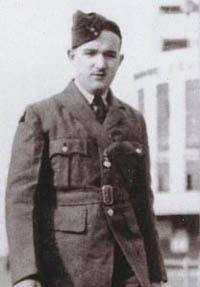 Howard Stanley Gordon - W. Op./ Air Gn. Llantwit Major Cemetery - Sec. C. Grave 7. Brown Reginald - Air Gnr. Son of Charles and Isabel Emily Brown. 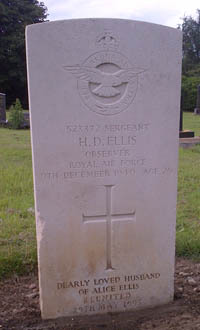 Llantwit Major Cemetery - Sec. C. Grave 6. 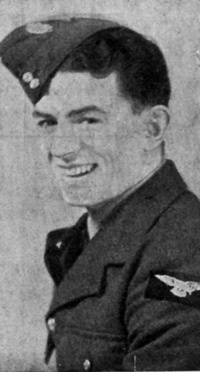 Wallace David Ernest - Air Gnr.